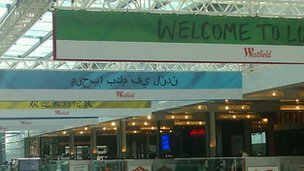 Westfield Stratford shopping centre was displaying huge banners welcoming visitors from all over the world for the Olympics. The Council for Arab-British Understanding (Caabu) said the words were back to front and not joined up as they must be in Arabic. The rail firm First Capital Connect made the same mistake when it sent posters to 13 stations printed in English and seven other languages intended to warn people not to leave items unattended. This ‘job-box without walls’ allows the NAM to move persuasively at all levels, co-ordinating all key functions in both their own organisation and that of the customer. Having to act without designated authority, the NAM is forced to use persuasion, in turn based on understanding, identifying and satisfying the job needs of each job-holder, and representing all desired output in terms of that colleague’s role optimisation, with unselfish allocation of genuine praise and credit. So perhaps some evening classes in buying might help?